Environmentalists are now going back to find environmental messages written in classics published long before the first Earth Day was commemorated. 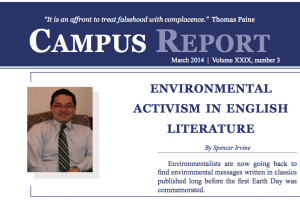 Find out what English professors are teaching in the latest issue of Accuracy in Academia’s monthly Campus Report newsletter. All the professors we wrote about last year are back. 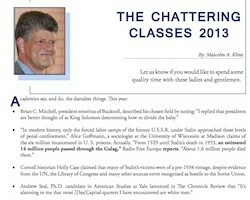 See what they said and did in 2013 in the latest issue of Accuracy in Academia’s Campus Report newsletter. Find out what, and who, is behind the war on football in the latest issue of Accuracy in Academia’s monthly Campus Report newsletter. 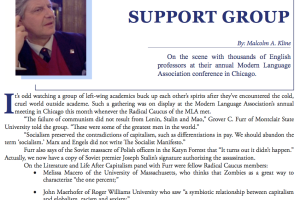 Accuracy in Academia remembers the victims of communism who did not survive it in the November issue of AIA’s monthly Campus Report newsletter. See how academia is reacting to the latest threat to it in the most recent issue of Accuracy in Academia’s monthly Campus Report newsletter. Just in time for football season, a defense of the game in the latest issue of Accuracy in Academia’s monthly Campus Report newsletter. Find out why academics are uncharacteristically mum on IRS scandals in the latest issue of Accuracy in Academia’s monthly Campus Report newsletter.